My Favorite Teal-Colored Card (In Honor Of Wear Teal Day)! In honor of “Wear Teal Day”, I thought I’d share this beautifully sweet card I created using shades of Lagoon and our *NEW* Mint. I combined Lagoon cardstock (both the true Lagoon side and the light shade, too) with the Oh What Fun Paper Pack to create this card. 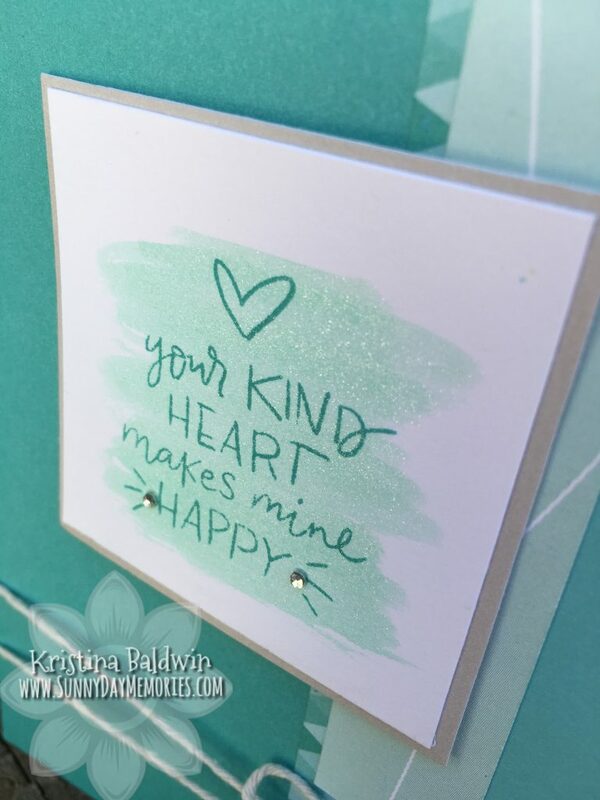 Before stamping the super sweet sentiment in Lagoon ink (more on the sentiment in a moment) I took our *NEW* Mint Shimmer Brush and painted on some of it’s gorgeous sparkly goodness on my White Daisy cardstock square. Okay, back to the lovey sentiment I stamped. It’s so heartwarming, right? Unfortunately, this particular stamp isn’t one you can order. BUT how would you like to receive one from me for FREE? Who wouldn’t, right? Place a Close To My Heart order with me for $50 or more (pre-tax & shipping) and you’ll receive this charming stamp absolutely free. Offer good today through Tuesday, September 11th. Offer can not be combined with SunnyDay Rewards Program. With the release of the *NEW* 2018 Holiday Expressions Catalog, there couldn’t be a better time to start your shopping! It’s a win-win, right? Start working on grabbing items from your Wish List and receive an exclusive stamp for FREE at the same time. 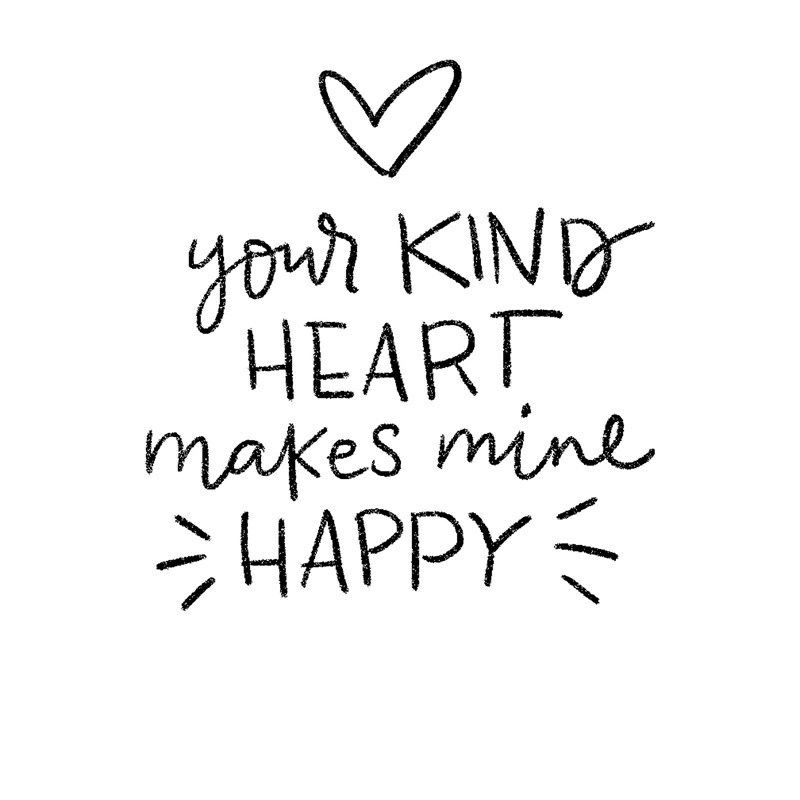 To start your shopping and secure your own Kind Heart Stamp, visit my ONLINE CTMH STORE. This entry was posted in Announcements, CTMH Card Ideas and tagged Close To My Heart, Close To My Heart stamps, stampers, using clear stamps card making. Bookmark the permalink.